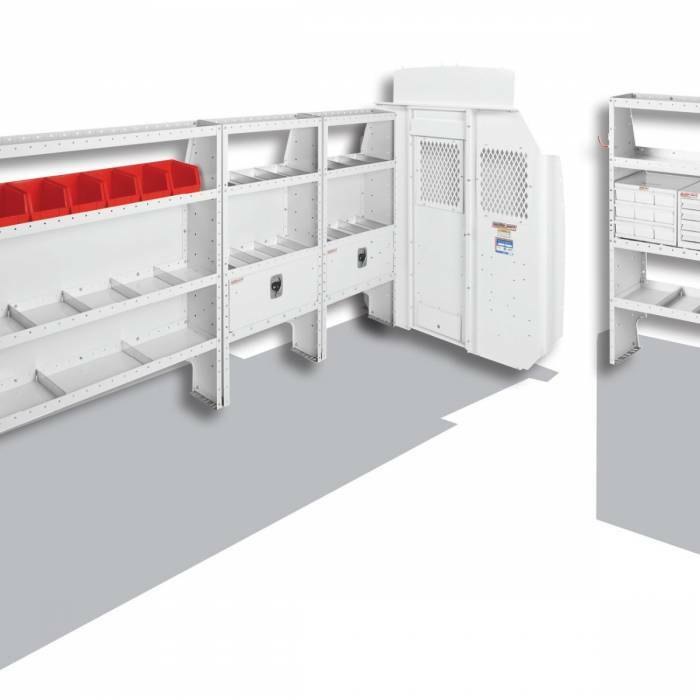 Designed for HVAC professionals and mechanical contractors, Model 600-8413X, High-Roof, 170 XWB Ford Transit vans provides adjustable shelving sized to fit the van, a 5 drawer secure storage cabinet, a shelf door, six medium storage bins, and a tank rack. Includes a sturdy bulkhead for maximum protection against shifting loads. Additional products available to create a custom van solution.